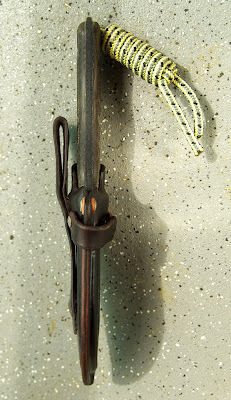 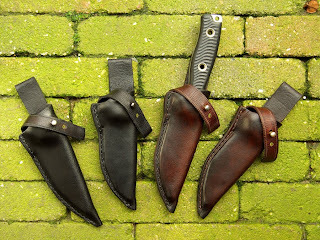 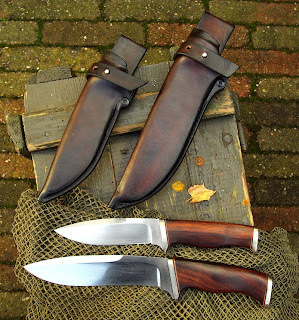 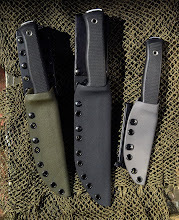 the Krebbekx knives by Toni Oostendorp. 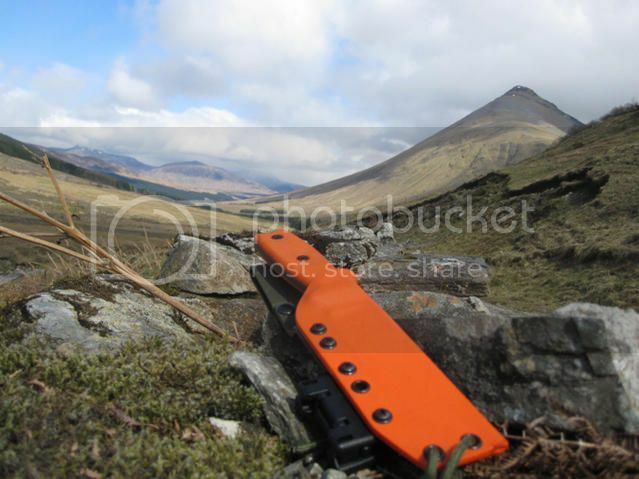 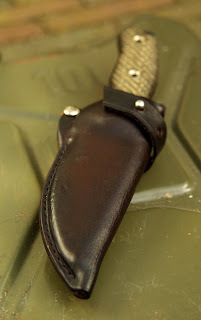 This fits a Maxpedition single pouch. 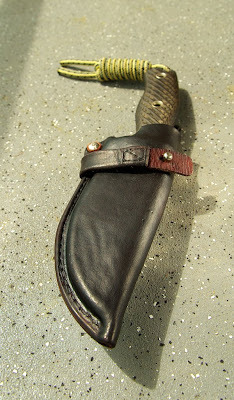 entirely made of leather, the liner too. 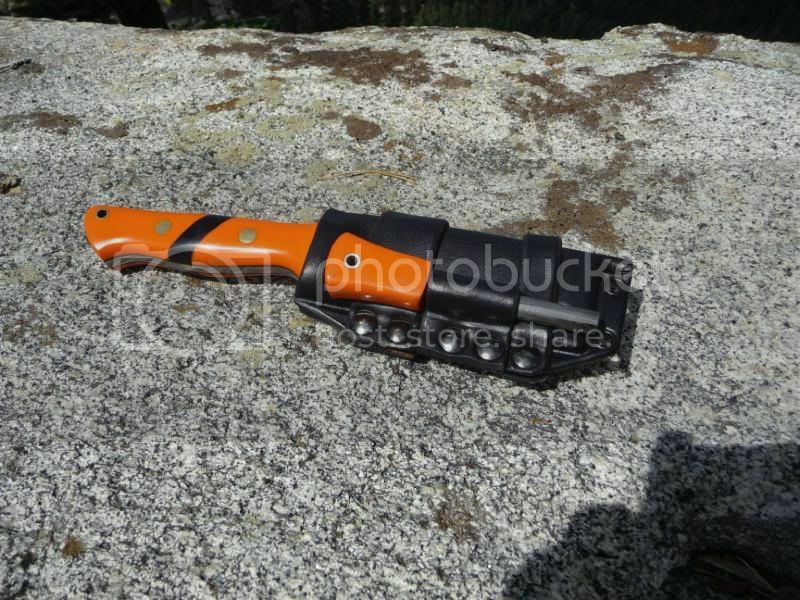 Bandicoot, with a Kydex liner. 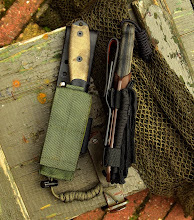 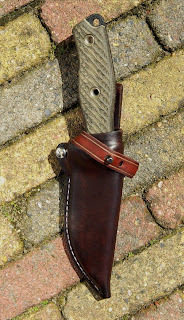 Fällkniven NL-5, Idun. 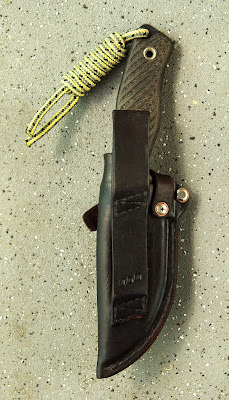 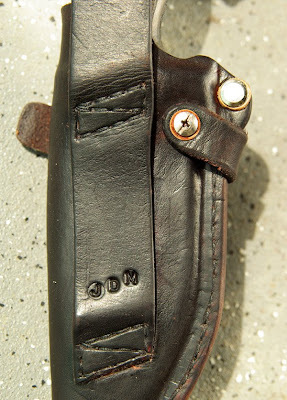 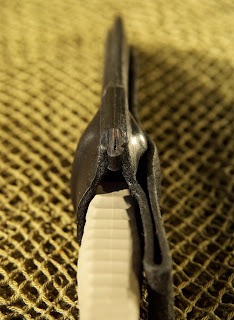 Leather pouch with Kydex insert for retention. 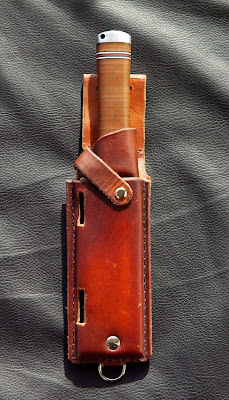 No strap needed. 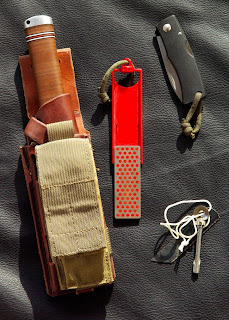 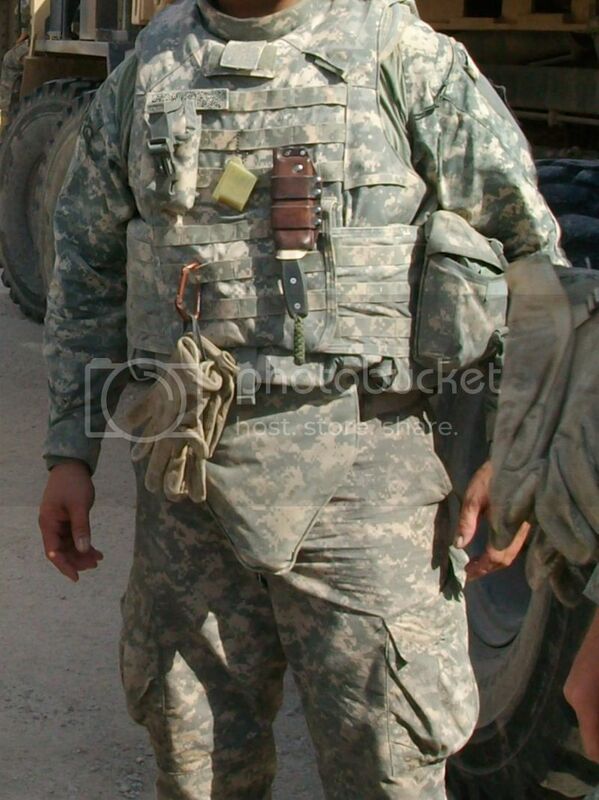 Fehrman pouch, with.. 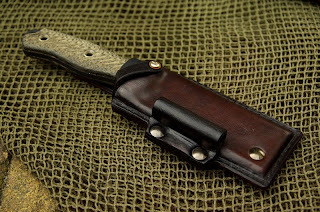 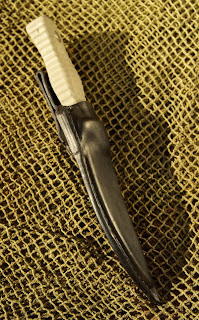 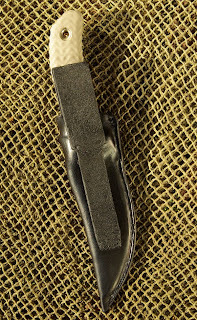 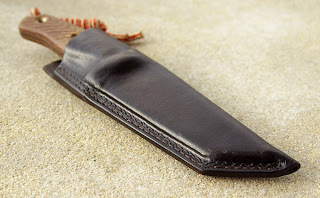 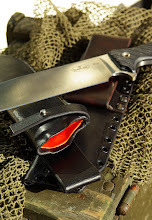 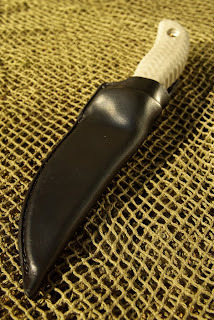 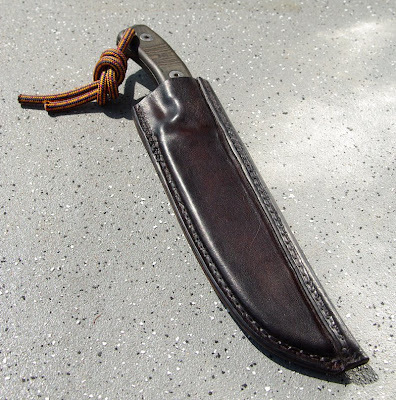 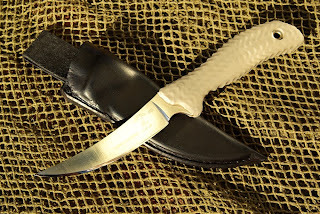 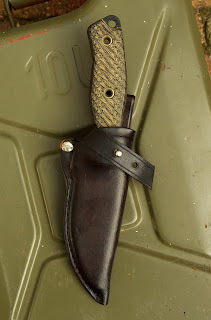 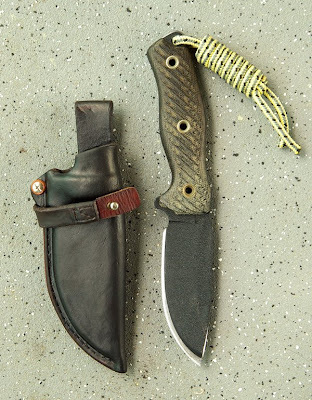 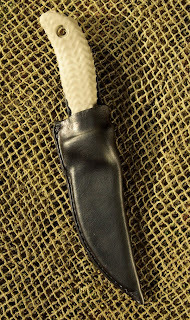 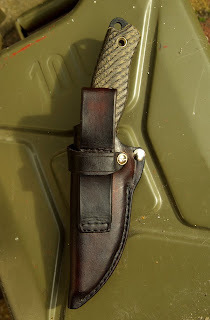 Guess what.. a Kydex liner too ..
Sheath for a Martindale Golok No.2. 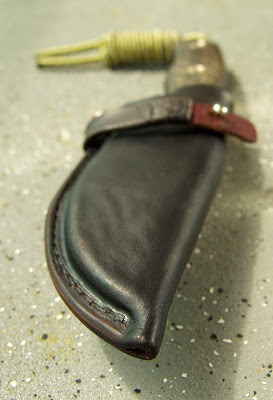 Riveted and sewn. 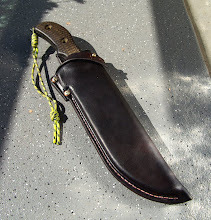 Fehrman Shadow Scout entirely wrapped in leather. 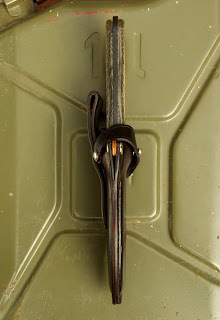 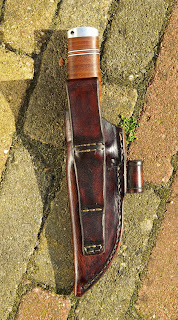 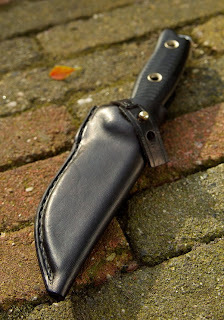 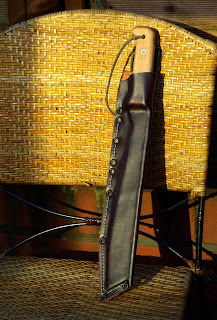 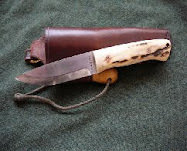 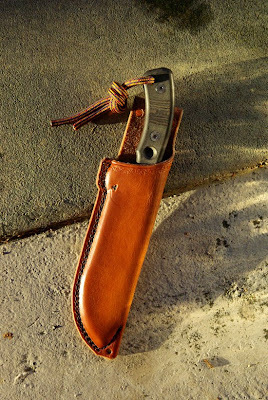 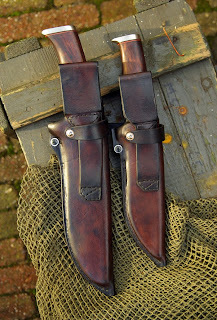 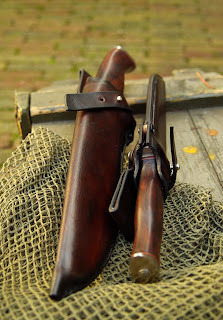 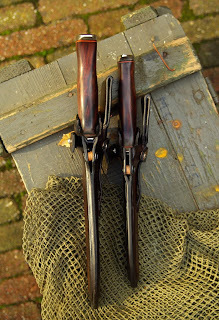 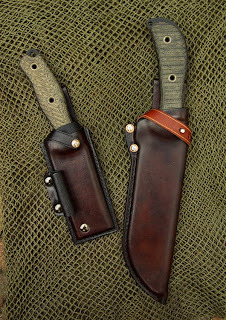 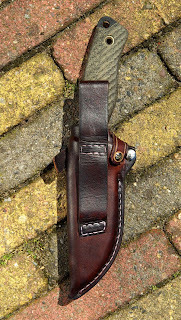 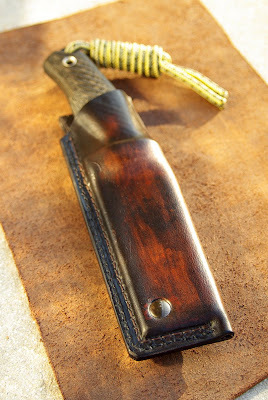 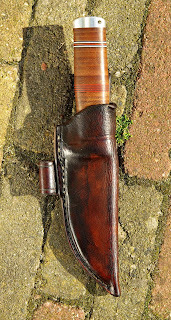 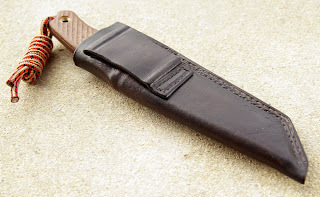 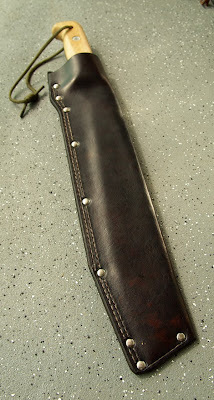 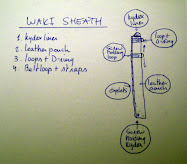 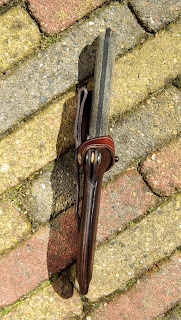 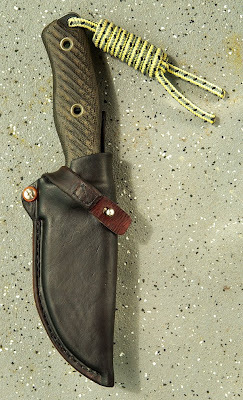 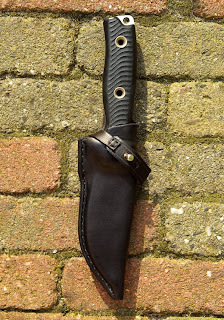 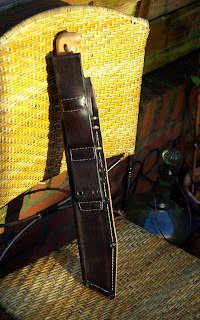 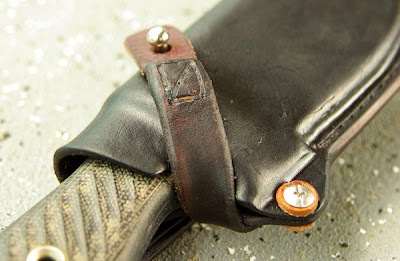 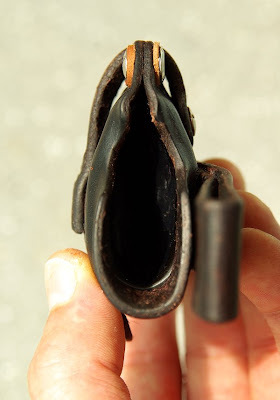 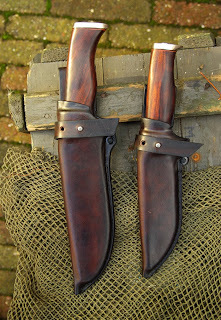 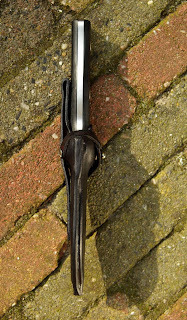 Please check my Ratweiler sheath in the Blog Archive for the specs ..